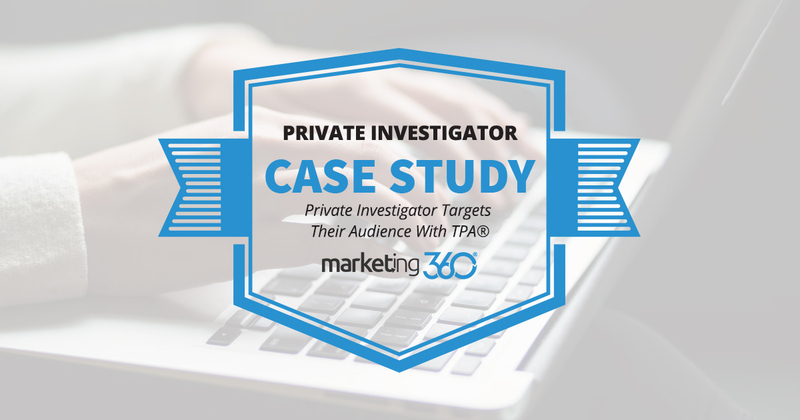 When a business uses our Top Placement Ads® system and targets the right audience, it results in outstanding conversion rates, as this private investigator Marketing 360® discovered. Pay per click search advertising is all about targeting. You target a need prospective customers have. You target the words and phrases they use to search for services and information. You target where they are and when they search. You target how they’ll react. Your goal is to incite an action – to make initial contact. The metric you use to evaluate the success of these efforts is conversions. A high conversion rate means you hit your targets. This private investigator firm, using Top Placement Ads®, shows how it’s done. It starts with the right keyword targeting, with phrase matching that fits the campaign. Here are their keyword targets and results over the last 60 days. One of the things worth noting is the high conversion rates on the broad match term “private investigator”. This is unusual for a broad match term but works here because the service is so specific. 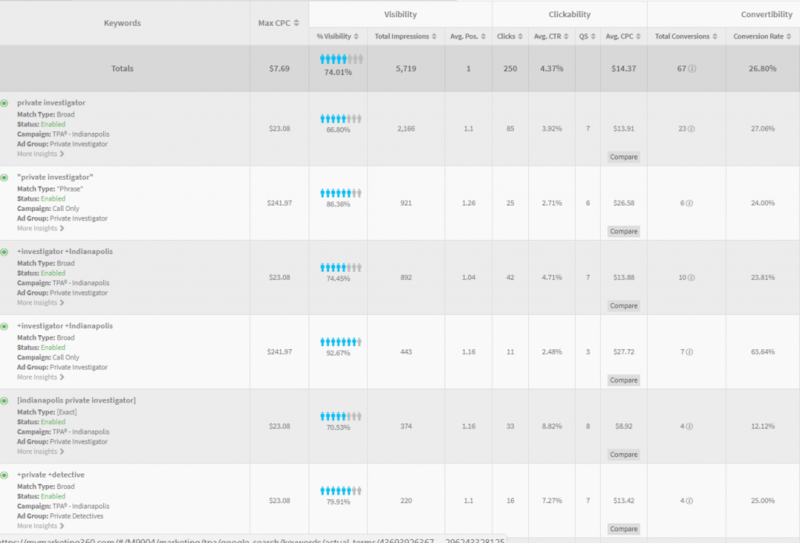 Overall, this client converts at a remarkable 26.82% on paid search, targeting their Indianapolis, Denver, and Tampa locations. They use their “Who We Are” page as a landing page. This page is simple but effective. It has a form fill and phone number for conversions. The text is a basic explanation of their philosophy, with an extensive lists of the industries, cases, and people they serve. Marketing is not always complicated. When your audience has a specific need and you target it with your keywords, ads, and landing page, you’ll convert well, as this PI firm now knows. Find top rated private investigators near me.